Entry level for InSinkErator models, suitable for lighter use in smaller households. • Food waste is ground into particles and flushed away in seconds. • Clean, hygienic, convenient and simple to use. • Manage food waste in the home and minimise trips to the rubbish bin. • Permanent in-house solution that sits under the sink without taking up space. • Easy to install into new or existing kitchens and can be fitted to most sinks. • Environmentally responsible, reduces waste that goes to landfill sites. • 2 year parts and labour guarantee. • Quick Lock® mounting assembly for faster, easier installation. • Air switch accessory available. 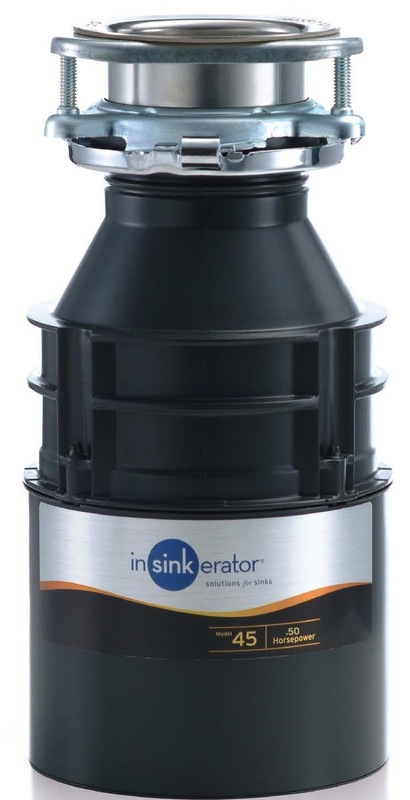 Every insinkerator model is compact enough to fit neatly under the sink without taking up valuable storage space. Competitors cant match our motor technology, our quietness of operation ideal for open plan living, or our finer grinding capability.